It’s that time of year again, when cyclist all over the nation commit to being reflective, slowing down and quiet as we pay honor and respect to fallen cyclists who have either been injured or killed while riding their bicycles by a motor vehicle. 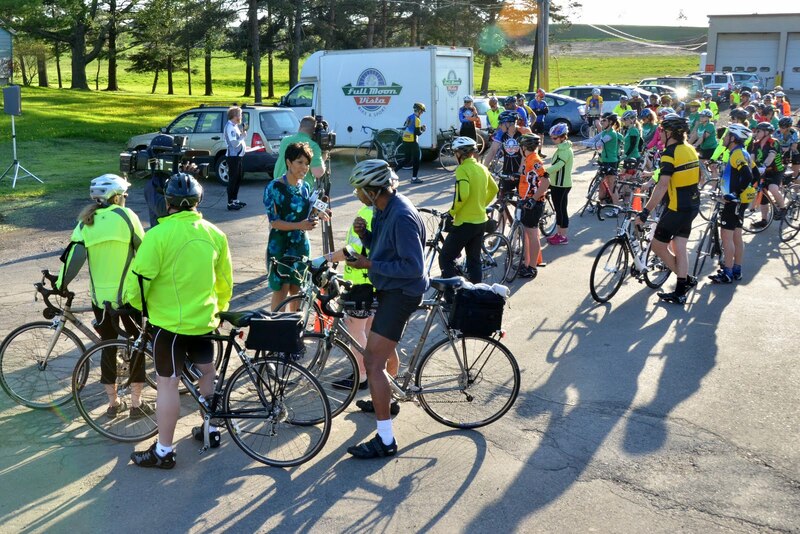 Rochester will join over 300 other cities in riding together as one, SILENT voice. 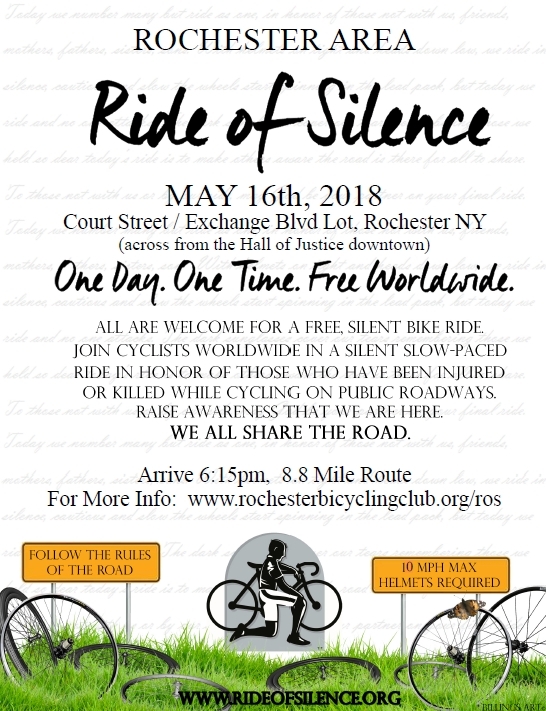 Rochester area cyclists from varied backgrounds and all levels of cycling abilities will gather at the Court Street and Exchange Boulevard parking lot- ample and free parking in downtown Rochester N.Y. for the International 14th annual and Rochester's 9th Ride of Silence event. Our primary focus is the awareness and safety of cyclists, although, not our sole focus. We seek to bring this conversation to the forefront and to work collaboratively ensuring the safety of all individuals who share our roads as we labor towards completion of Vision Zero. A brief pre-ride ceremony will be held then we roll out at 7:00 pm sharp, onto a slow-paced, flat 8.8 mile route, approximately 1 hour long bike ride accompanied by designated bike angels, bike mechanics, and the Rochester Police Department. Don't forget to place this date and event on your calendar! All riders should read the attendee guidelines prior to attending. For more information on the Ride of Silence, please visit their website:www.rideofsilence.org, where you can find the inception of this event, statistics, previous ride reports, (yes including Rochester’s) videos/photos and a donation ability. Volunteers are needed and welcomed. If you’re interested in volunteering, please email me at the e-address listed below.